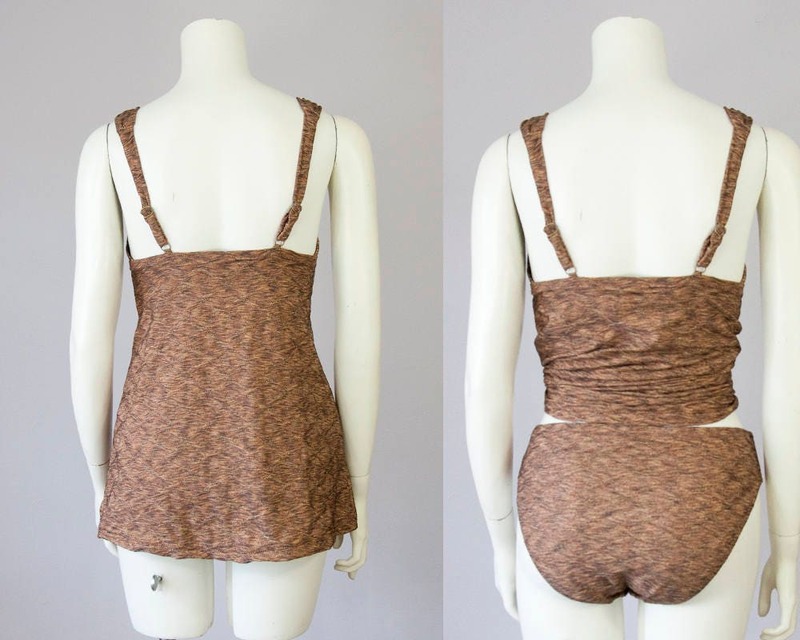 90s vintage tankini swimsuit. Metallic space dyed gathered fabric. Bonus bronze neoprene bottom (shown third photo on left). Gathered adjustable straps. 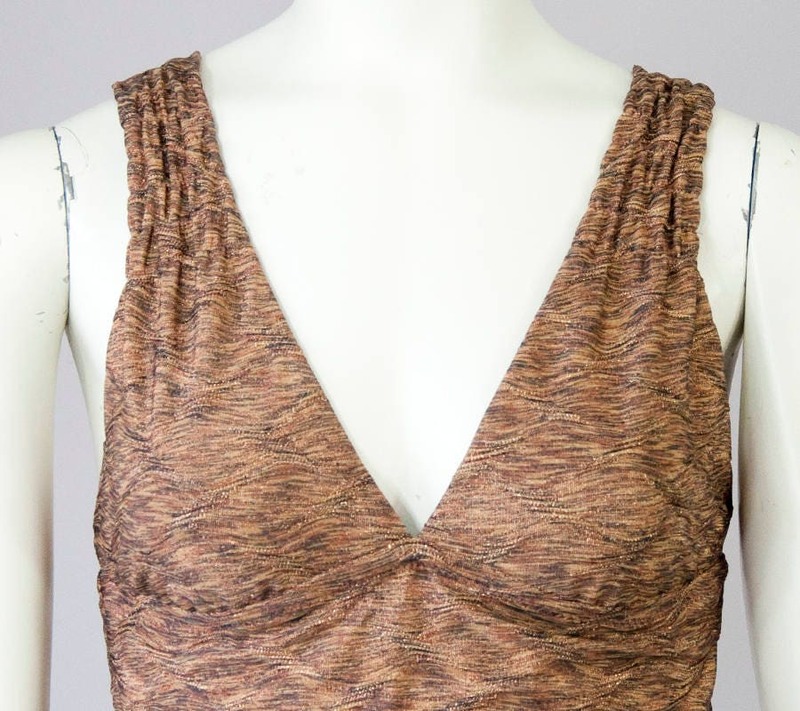 Long flared tankini. Low rise, full cut seat bottom. Top is marked size small and both bottoms are marked medium. 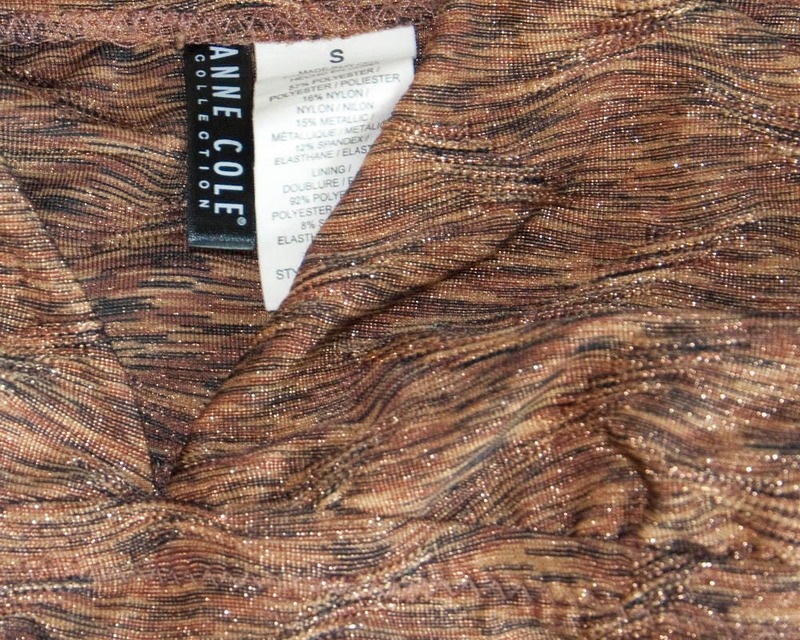 Size tag: Top is marked size small and both bottoms are marked medium. Modern Size: Small - Medium -- Review measurements below to ensure a great fit. Across Chest Band: 26 1/2"
Length Tankini from Under Bust Band to Hem: 16 3/4"